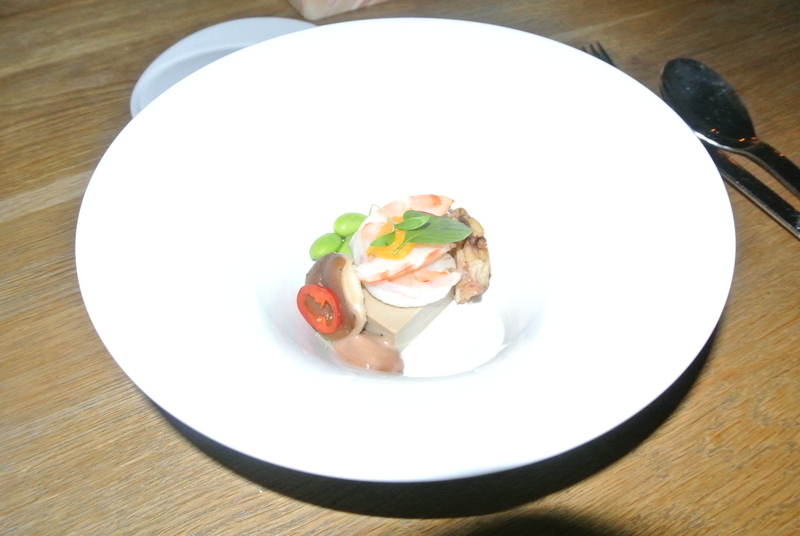 My appetizer – Tom yum soup with chestnut, prawn, shiitake and crispy chicken wing. 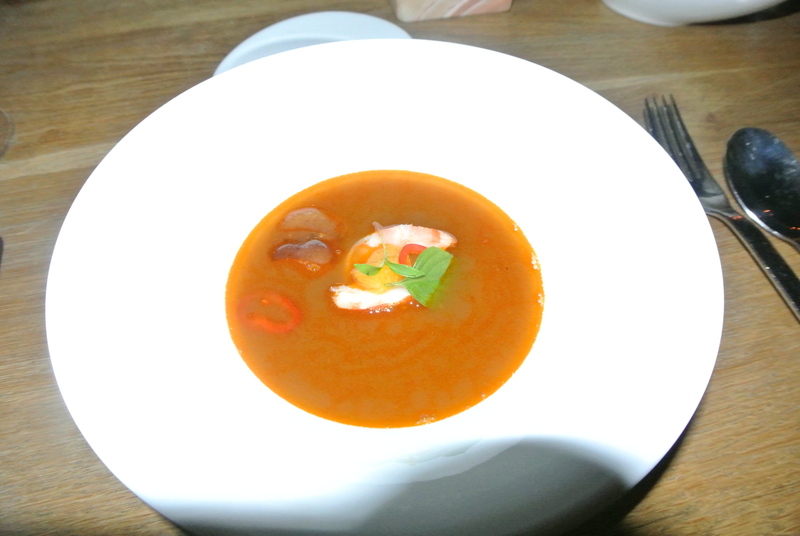 The tom yum broth is brought to you table side in a cast iron teapot and poured into the bowl. 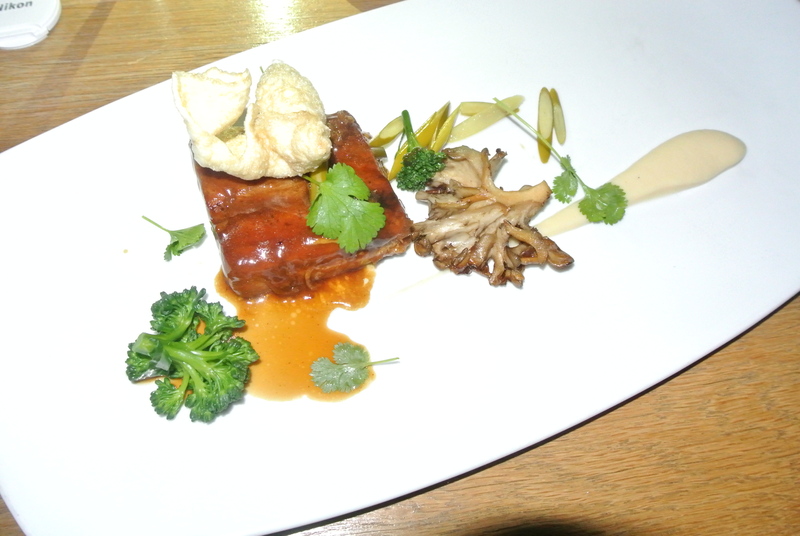 My main – braised pork belly with black bean and maitake mushrooms. 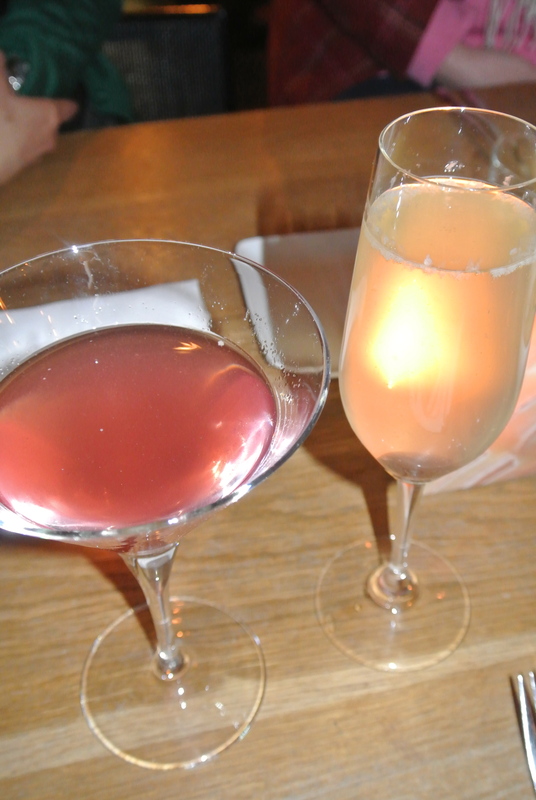 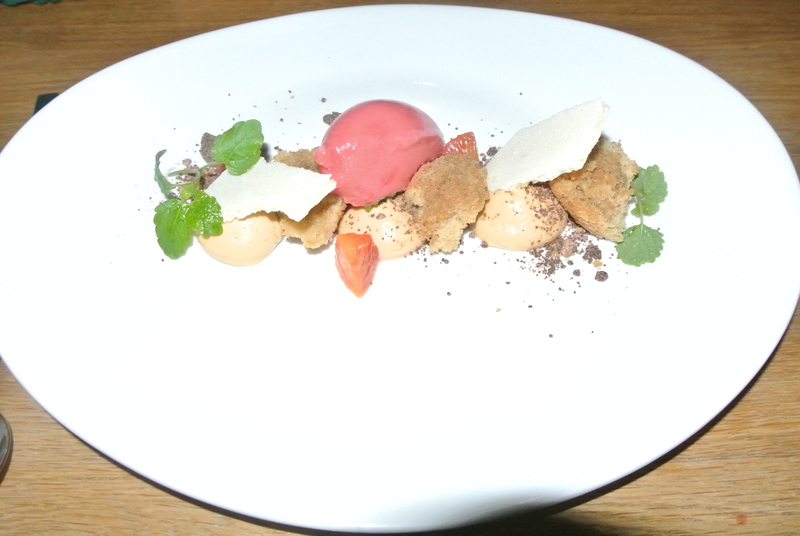 Dessert – dulce de leche cheesecake with coffee cake and blood orange sorbet. 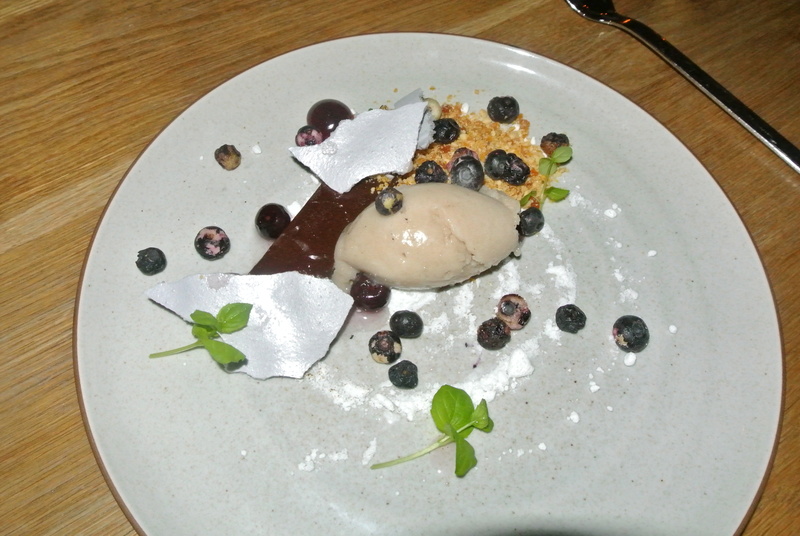 My dessert – chocolate bar with caramalized peanuts, blueberries, hazelnut and banana sorbet.